We’ve treated many patients who’ve had a fall due to a joint related condition, such as arthritis, that has affected their movement and muscle strength. The most common types of arthritis are osteoarthritis and rheumatoid arthritis, causing wear and tear or inflammation around the joints that can make it painful to move. Other symptoms are tenderness and stiffness around the joints which in turn restrict your movement and can cause muscle weakness. You may find your balance is affected and you are moving or walking awkwardly to compensate for the pain. If you feel your symptoms are affecting your quality of life or could put you at risk of falling, we encourage you to seek help as much can be done before it reaches that crisis stage. 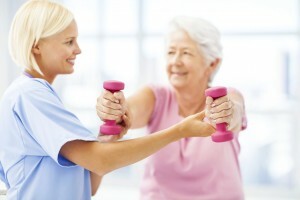 As trained physiotherapists we are highly experienced in working closely with you and your family to restore quality of life and regain control and independence.